Ultimate Fighting Championship (UFC) recently tied a ribbon around the mega UFC 205 pay-per-view (PPV) event, which took place last Saturday night (Nov. 12, 2016) inside Madison Square Garden in New York, New York (results), featuring a lightweight main event title fight between now-former division champion, Eddie Alvarez, against Conor McGregor, the current UFC featherweight titleholder. 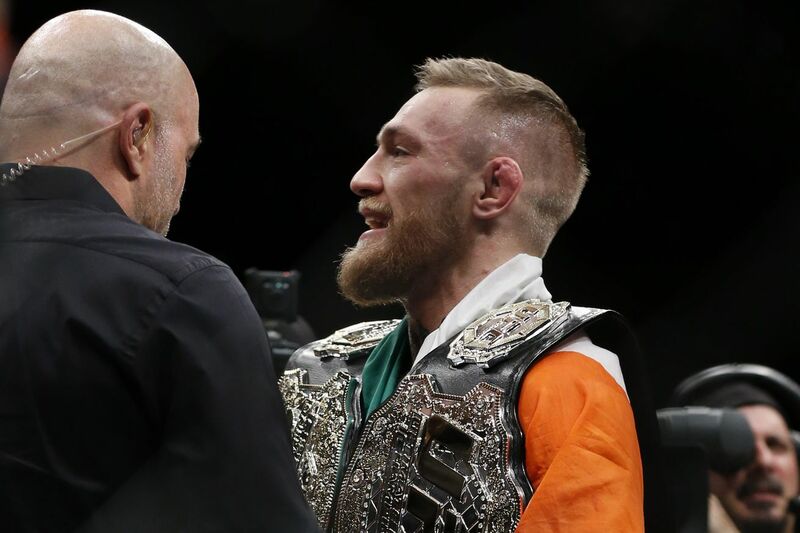 “Notorious” made history after stopping “The Underground King,” becoming the first man to ever hold two separate division title simultaneously (full video highlights here). But that wasn’t all, Joanna Jedrzejczyk retained her strawweight strap after defeating Karolina Kowalkiewicz (relive it here), while Tyron Woodley did the same, holding on to his welterweight strap after fighting to a majority draw with Stephen Thompson. Plus, Yoel Romero solidified his status as the next title contender in the middleweight division by knocking out former champion Chris Weidman with a flying knee (see it). With all the action going down in “The Empire State,” there was bound to be plenty of movement in the rankings.